I’m always attracted to fragrances with a good tea note. I think it’s the dark, smoky, yet comforting aroma that I love so much. In warmer weather I could happily wear Osmanthe Yunnan day after day, while during the colder months I wrap myself up in a layer of Tea for Two. When I first got into perfume in a big way, Tea for Two was talked about a lot on Now Smell This but was discontinued at the time. Last autumn, to my surprise, it popped up on the L’Artisan Parfumeur website and without much hesitation I pulled the trigger on a 100ml blind buy. Thank goodness I did because it was love at first sniff. Tea for Two is a cosy yet chic aromatic composition of smoky lapsang souchong tea, warm spice and leather on a vanilla base. Originally launched in 2000, the Nose behind this fragrance is Olivia Giacobetti. The top notes are bergamot, star anise and tea; middle notes are cinnamon, ginger, spices and gingerbread; base notes are honey, vanilla, leather and tobacco. Normally I have big problems with cinnamon because it can be spiky and irritating but thankfully it doesn’t put me off at all in Two for Two. It’s well blended with the other spices which lay beautifully over the darker accords. I love the smell of smoke but often birch tar leathers feel too one dimensional or overtly masculine on me. Tea for Two has lots of smoke but it’s balanced out by the sweet spice, drizzle of honey and bed of vanilla. It may sound like a heavy-hitter but in keeping with Giacobetti’s usual style, it has a lot of buoyancy. Its depth and contrasts can keep me interested for days on end. I find it both relaxing and stimulating. It’s pretty linear and dry but a gorgeous vanilla does seep through from the base over time. It’s the kind of fragrance that you regularly catch wafts of over the course of a day’s wear and lasting power is excellent. It’s the perfect fragrance for autumn because it encapsulates all of those wonderful seasonal aromas like bonfires, steaming hot cups of tea, warm spices and new leather boots. At this time of year Tea for Two contains everything I crave. Imagine it’s a cold Friday in November and you’re escaping the city with your other half until Monday. You’re in the car listening to the rain hammer the roof as you turn onto the gravel drive of a country hotel a couple of hours outside of London. You and your partner enter the warmth of the lobby and find you are just in time for afternoon tea. You sink into leather chairs beside a crackling fireplace. Laid before you on a pristine white tablecloth is a pot of piping hot tea, with a jar of honey to add sweetness and a china plate of pastries and spicy gingerbread. You smile softly, feeling soothed and excited as you look forward to the weekend ahead. N.B. Great news! 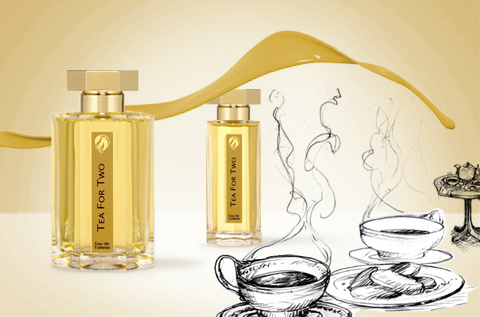 L’Artisan Parfumeur are re-releasing Tea for Two (100ml EDT) from November 2014. Let me know in the comments if you’ve tried Tea for Two and what other smoky fragrances you’d recommend. This entry was posted in By Tara, Fragrance Reviews, Gourmand, L'Artisan Parfumeur and tagged Fragrance, L'Artisan Parfumeur, Olivia Giacobetti, Perfume, Review. Bookmark the permalink. Wonderful review as always, Tara. I owned and swapped away tea for two. I did like it a lot, but it never became quite me. Every time I read about it I feel like I was probably wrong at the time and should try it again, after all it’s Giacobetti, but then I remember that that’s how I felt back when I owned it too, and I *did* test it again, and came to the same conclusion. I think when a perfume is fairly linear, it has to be just right for it to be love. Thanks, Asali. It sounds to me like you did give it enough of a try, more than once. Sometimes a perfume feels like it should be right for us but somehow it just isn’t in practice. I know what you mean about largely llinear perfumes, they do need to be just right to sustain your interest. Osmanthe Yunnan is my favorite tea scent, but you are right, in these really cold winter days I, too, need something with more oomph. And “cozy yet chic” sounds perfect, I’ll have to give Tea for Two a try, thanks for the inspiring review, Tara! Osmanthe Yunnan is just fantastic. I really hope you hit it off with Tea for Two. It’s never heavy but it has the nicest presence. Isn’t it funny how we can be put off by a name? I was put off by Passage d’Enfer fo the longest time. 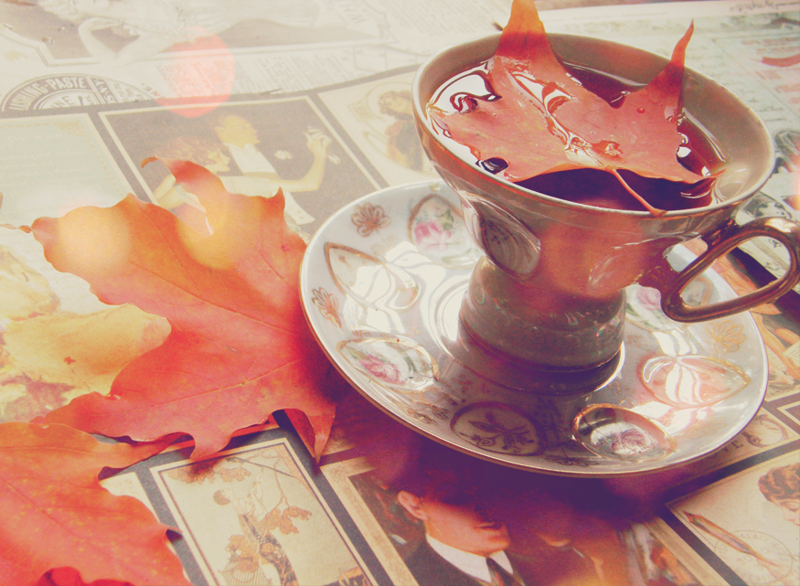 Tea for Two really is charming as long as you’re okay with the dusting of cinnamon. I’ll put some in your next package. Tara, I will try this now that it is available again. I love Osmanthus Yunnan too. Sandra, it’s one of L’Artisan’s best. I hope you like it. Osmanthe Yunnan is probably in my Top 5. I LOVED this review, with its evocation of a country house hotel weekend. Haven’t had one just like that since the 80s, haha. All the autumnal scents and tastes you conjure up could really make me get into autumn, which isn’t my favourite season as a rule. As for the perfume itself, I owned a sample of this at the start of my hobby – and maybe a small decant. Not sure if I have any of Tea for Two still, but I would be keen to give it a whirl if so, as I fear it may have slipped under the radar. I love autumn and I love T42. I’ll bring some for you next Thurs. Great review Tara. Tea for Two is a fantastic comfort scent. I normally have difficulty with both ginger and anise but they conspire with the other spices to make a wonderful chai tea. I’m so glad you put the spotlight on another amazing fragrance from a fantastic perfumer. Have you tried Bois d’Ascese, Encens Flamboyant, Ambre Fétiche or Bois d’Encens? For a ridiculously smoky tea, try Tea by Comme des Garcons. It takes lapsang souchong to the extreme but somehow dries down clean. Amazing. Michael, I normally have trouble with those spices too but they really do create something wonderful here. Thanks for sharing some smokey fragrances. I haven’t tried Bois d’Ascese so will have to look into that one, along with CdG Tea. Tea for Two is warm and smoky on me, not too much cinnamon thank goodness, and that lovely honey drydown. For my birthday my husband organised a surprise weekend away in wine country, freezing cold weather but great spa bath in the room. Perfect climate for Tea42 had I known! Also like Oolang Infini for summer. What a wonderful surprise for your birthday, Jackie b! Just right for wearing Tea for Two indeed. It can give you that cosy, relaxed feeling wherever you are though. I also really like Atelier Cologne’s Oolang Infini in warm weather. As a person who drinks about 5-8 cups of tea per day I have been wondering about this one for a long time but then forced myself to lose interested because of its discontinued status….then when I heard it was coming back my interest renewed……I absolutely adore lapsong tea when the weather becomes brutal so I think I might like to wear it as well! I don’t know if this counts as “smoky” but my favorite is Laurie’s Winter Woods (which on my skin is more of a dark, woody, vanilla although there are no vanilla notes listed!). I have even worn it in the summer when the heat seems to amplify the non existent vanilla on myskin! I have also made my own body butter with organic coconut oil and a hefty dose of pure cedarwood oil which comes off as very smoky on my skin….this is satisfying my smoky cravings! Great review Tara…although I have not bought perfume in months you have truly tempted me with this review 🙂 !!! Glad I’ve tempted you anon! Tea for Two is one of the best for this time of year and a must-try for those who like tea and/or smoky scents. I remember Fireside Intense by Senoma Scent Studio being amazingly smoky. Glad you are enjoying Winter Woods. Brutal is a good description for today’s weather. It’s truly grim in London. Tara, I love Tea for Two and you wrote about it so beautifully, especially in evoking the scene of the couple arriving at the country house just in time for tea by a crackling fire. You make me want to wear some now … I might just have to! Spray some on Suzanne! It’s making me feel quite Christmassy today. Really happy you enjoyed the review considering it’s a favourite of yours. Woo Hoo! I love T42. If I could get to my bottle of it I would spritz in your honour. We are still unpacking though and it’s yet to see the light of day. You write so well Tara, thanks for letting us wander through your thoughts. Thanks, Portia. Nice to hear you love it too. I hope it doesn’t take too long for you to get everything unpacked. I know this sounds silly but, like cookie queen, I’ve never tried this just because of the name… Well, I actually do that quite often, I may be missing out a lot of good perfumes. I should try this, sounds perfect for the season. I love Oolang Infini & Osmanthe Yunnan as well. Well, there’s so much stuff out there that it’s easy to be put off and move on to something else if a name doesn’t appeal. I think Tea for Two is worth seeking out though, especially as you seem to like tea notes. I tried Tea for Two some years ago, just from a small sample vial. I found it had too much smoke and the sweet note of honey was not prominent (I have troble with smoke and leather perfumes, perhaps it is the birch tar?). I like the ligher tea scents for summer and think perhaps I should give Osmanthe Yunnan a second chance. A week ago I also tried Masque Milano Russian Tea, really nice once it had settled on skin. On my skin somehow a softer kind of smoky tea scent than Tea for Two and perfect for colder weather. I think Tea for Two and Osmanthe Yunnan are both perfumes that really benefit from being sprayed rather than dabbed, if you do try again. It does sound like you might have problems with birch tar but Tea for Two is a lot more like lapsang souchong than leather. Masque Milano Russian Tea sounds fabulous. I have been wanting to try this since I first heard about it. I’m so glad they brought this back. I have been looking for a tea fragrance I like without much luck. Maybe this will be it. Thanks for the review! I really hope this is the tea fragranc for you Kandice! It is such good news that they’ve brought it back. My favourite L’Artisan, I’d say. Lovely review Tara. It conjured up a lovely autumn which is much nicer than the rain that is coming down in buckets in this neck of the woods. I’ve never actually tried a tea perfume but this sounds like a good place to start. I think this would make a good first tea fragrance to try. The smoke and spice stop it from smelling too literal. It’s just really cosy and autumnal. Hope the rain stops soon! Has she given up on her blog? Olfactoria has absolutely not given up on her blog. Very sadly, she has developed severe asthma which, as you can imagine, means testing or wearing perfume is very difficult for her at the moment. However, she’s here on Mondays so please come back then! as Tara said, it has been a difficult time for me lately, and blogging doesn’t always come easily… So I am very thankful to my wonderful contributors who keep the reviews coming and the blog going. I like the different voices in your blog, and would imagine most people do. Hope your asthma gets better so you can enjoy perfume more easily from time to time! I was wondering if perhaps some posts about shopping in Vienna would be possible to put together? Also, will we be getting Val’s vegan brownies presented in the near future? Shopping in Vienna? Good idea, I will do a post about that. What a beautiful review, Tara! How interesting that Pink Martini have a song of the same name. I was surprised it puts some people off. I’ve never thought much of it one way or another really. I hope the big storm passed okay and Tea for Two kept you cosy. Pink Martini sings the original song. Even though they have some songs written by them, mostly they are performers. Hi Tara,lovely to see you the other day at Lila’s meet up event. I must try tea for two again. Unfortunately having tea in my fragrance does not excite me for some reason.however the other day I tried Infusion Assam by Cloon Keen, an Ireland based company in Selfridges. That was realreadivine.